Vacationers heading to the Florida beaches will want to view WVUE Fox 8 News for a word of caution from Dr. Aimée Thomas. Thomas spoke to the public about so-called “sea lice,” jellyfish larvae that can cause a sting when trapped beneath your bathing suit. 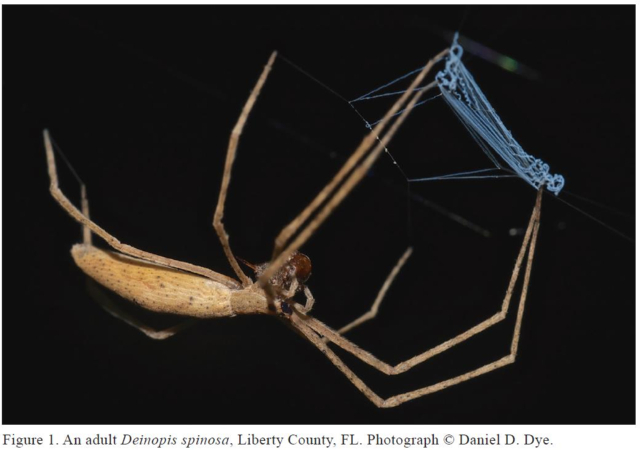 Recent noteworthy distribution records for Deinopis spinosa (Marx, 1889) (Araneae: Deinopidae) in the Southeastern United States.